After a pair of losses dropped the Spurs to the eighth seed in the Western Conference, San Antonio really needed a road win in Boston on Sunday night. Thankfully, they were indeed able to secure the victory, which has to be considered as one of their best road wins of the season. The 115-96 toppling of the Celtics improved the Spurs to 43-31 on the season. Sure, Boston was missing a couple key pieces and shot poorly from the perimeter but San Antonio deserves a lot of credit for how they played tonight. They executed very well offensively, competed on defense and never took their foot off the gas pedal. Very good win. LaMarcus Aldridge was amazing. He set the tone with his 19 first quarter points. He found a rhythm, realized he had a distinct advantage and milked it for all it was worth. 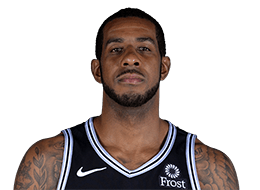 After Aldridge’s uneven effort and focus in the last few games, it was great to see him so locked in. When he wasn’t using his muscle to score around the rim or draining one of his perimeter jumpers, he could be found handing out a well-timed pass. Defensively, he moved well and was dominant on the glass. Summary: Aldridge was a beast. DeMar DeRozan was most deadly when he was looking to make plays against the Celtics. He probed well, broke down the defense and unselfishly shared the basketball. His 11 assists were made even more valuable due to the fact that he had only one turnover. Scoring-wise, DeRozan wasn’t as impressive. He forced a couple shots and wasn’t taking the ball to the hoop as physically as usual (as evidenced by his lack of a free throw attempt). 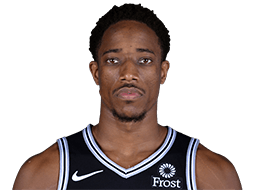 Defensively, DeRozan was solid once again. His post-All-Star break D has been a rather significant improvement compared to how he began the campaign. Summary: DeRozan did a lot of good. 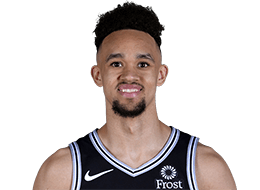 Pluses: Derrick White was really good on defense. His main task was slowing Kyrie Irving and that was a success. White’s help defense was also quick and effective. Offensively, he took care of the ball and showed off his impressive court vision on multiple occasions. Minuses: White didn’t push the pace well on offense and was oftentimes slow at getting the team into their sets. His outside jumper looked flat and he wasn’t getting good elevation when attempting to finish in the paint. Summary: White’s defense shone brightly. 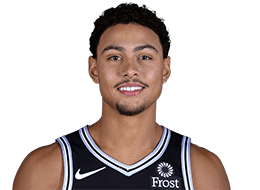 After a sizzling performance against the Rockets, Bryn Forbes came out firing against the Celtics. Unfortunately for him, the results weren’t nearly as rosy. Forbes forced a couple shots, reverted to being a shaky ballhandler and the rock was sticking in his hands more than usual. Defensively, he was okay but nothing special. Summary: Forbes didn’t have the magic touch tonight. 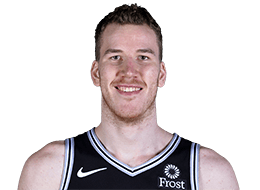 Back in the starting lineup, Jakob Poeltl showed why the coaches should think about making him a permanent fixture in the opening fivesome. On D, he protected the rim well, rapidly closed gaps in coverage with his mobility and rebounded with force. On offense, Poeltl moved well without the ball, battled on the boards and set mean picks. Summary: Poeltl provided a valuable workmanlike effort. Marco Belinelli had played well recently but he didn’t have it going in Boston. His shot-selection was poor, as Belinelli needlessly made shots extra difficult. His passing and off-ball movement were also out of whack. Defensively, though, I thought the Italian was actually quite a bit better than usual. His effort was commendable and was even an asset on the defensive glass. 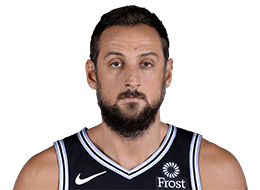 Summary: Belinelli was leaning more than usual. 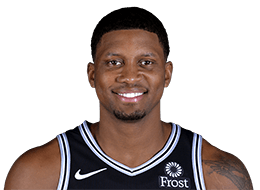 Rudy Gay gave the Spurs 22 strong minutes off the bench. He selected smart shots, took his time and passed the ball extremely well. When the bench unit needed a focal point in halfcourt sets, Gay was up for the job. Defensively, he looked a little bit more mobile and was once again a big help rebounding-wise. Summary: Gay is a weapon off the bench. 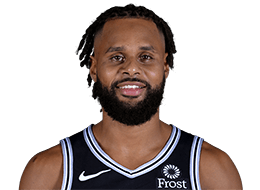 I was happy with how Patty Mills played. He was scrappy on defense and supplied a healthy amount of pressure. Offensively, he shot it straight, provided value when going to the hoop and made plays with his passing. The spark he gave the team when he went on the court was palpable. Summary: Mills gave the team a lift. After going 1-for-10 on threes against the Rockets, Davis Bertans missed his first three shots from downtown against the Celtics. But to his credit, he kept firing away … and it paid off. To put Boston to bed and unleash the boo birds, Bertans drained three fourth quarter three-pointers in a span of two and a half minutes. Defensively, he was solid individually and useful team-wise. Bertans’ rebounding was another noteworthy success. 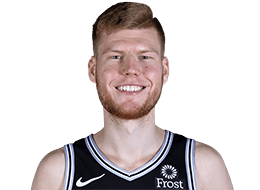 Summary: Bertans broke out of his slump in grand style. Pop made the right move by going back to Poeltl as a starter. His rotation made a lot of sense. He obviously made it a point to feed Aldridge early and often – and that couldn’t have played out any better. 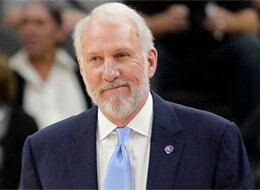 Summary: Pop did what he needed to do to get this much-needed road win. Looking ahead: Next up, the Spurs go to Charlotte. Getting revenge for the loss in San Antonio would make this a successful three-game road trip.